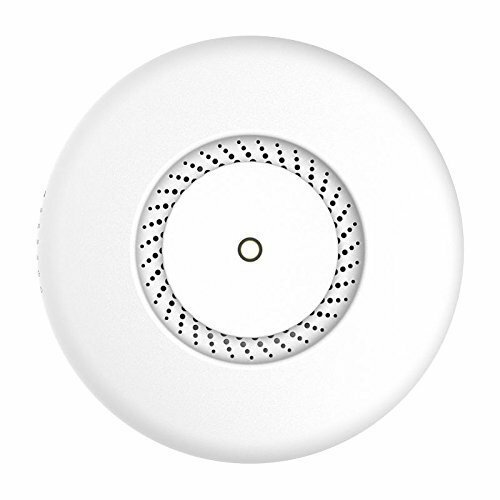 The cAP ac is a very capable and powerful wireless access point that looks beautiful on both walls and ceilings. The concurrent dual band wireless radio supports dual chain 2 GHz 802.11b/g/n and 5 GHz in a/n/ас standards, and will provide coverage in 360 degrees around it. Even though the radio supports repeater mode, the two Ethernet ports give you the ability to extend your network with cables, even if PoE power is required, since the cAP ac supports 802.3af/at PoE input on the first port, and passive PoE output on the second port. cAP ac-US (USA) is factory locked for 2412-2462MHz, 5170-5250MHz and 5725-5835MHz frequencies. This lock can not be removed. The cAP ac-US (USA) is factory locked for 2412-2462MHz, 5170-5250MHz and 5725-5835MHz frequencies. This lock can not be removed.